A small furniture studio in the hills of northern Maryland. Specializing in custom chairs and tables using local cherry and walnut hardwoods. These pieces can be ordered online or you can see the work at select craft shows and exhibitions. 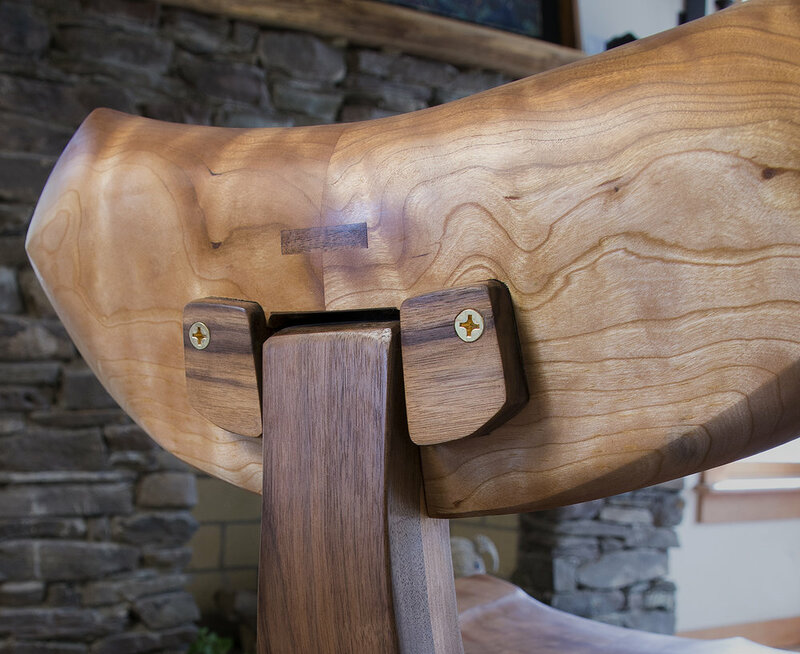 Custom made chairs, handcrafted and sculpted with a comfortable ergonomic fit. 22" x 34" x 28" deep. Cherry with walnut accents. Perfect for smaller space or desk. This is the chair I use at my desk- its perfect for typing. The chair turns and rocks back on swivel hardware under seat. Piston raises or lowers seat to desired height. Back crest moves independently on roller bearings and tilts as you move to fit back. Price as shown $1850. Also available in black walnut.